Did you know that you are able to read this because of what a man gave to the world 25 years ago? Yes, you are one of the beneficiaries of what Sir Tim Berners-Lee invented 25 years ago while he was working at the European Organization for Nuclear Research, known as CERN. The World Wide Web (WWW or simply the Web) is the most widely used and the leading global information retrieval service on the Internet. The WWW was invented by Sir Berners-Lee in 1989. Sir Tim Berners-Lee is a British computer scientist. He was born in London, and his parents were early computer scientists, working on one of the earliest computers. On 6 August 1991, the first website was published by Sir Tim Berners-Lee, hosted on a computer in his research lab at CERN. However, the World Wide Web went live to the world and it became publicly available exactly 25 years ago today. At that time, there was no fanfare in the global press so it was not publicly announced. In fact, most people around the world didn’t even know what the Internet was, although the Internet had been in existence a long time before WWW was invented. 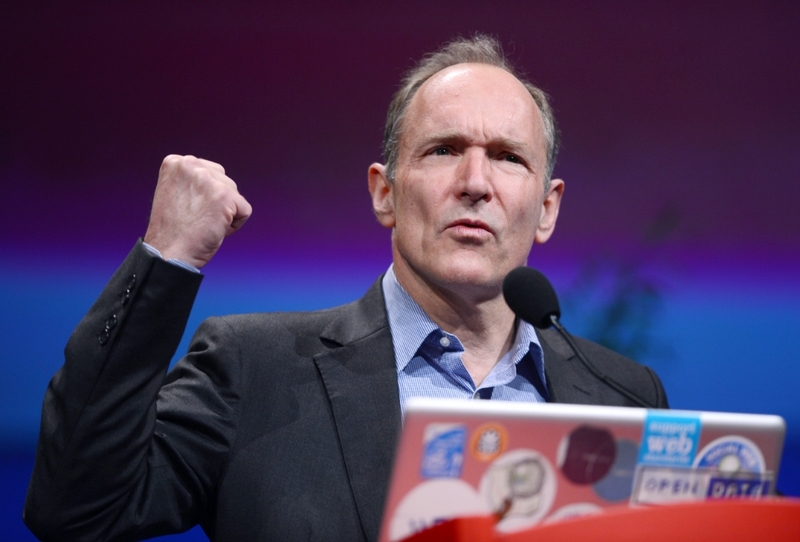 Even if they did, the revolution the Web ushered in was still but a twinkle in Tim Berners-Lee’s eye. It took a while before people started to use the global information medium. Until 1994, there were less than 3000 websites on the World Wide Web. The number of websites online increased to over 1 billion in 2014. Today, it has drastically grown to over 3.4 billion and it keeps increasing. That is amazing! We use the world Wide Web for quite a great number of essential services, including communication, social media, information, search, entertainment, commercial and banking services. The Internet and its infrastructure have become the core of our communication systems and businesses today, to the extent that millions of businesses would go out if the Internet goes out. The Web opens and connects us to opportunities. Thanks to Sir Berners-Lee and other Internet pioneers for gifting the World Wide Web to us. Happy birthday to the Web.